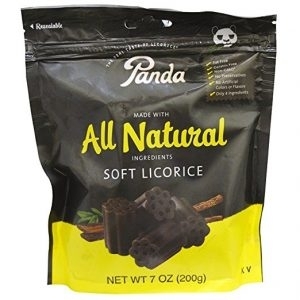 ***** DISH OF THE WEEK (Sunday- 1/27/19- Panda All Natural Soft Black Licorice). Absolutely dynamite- soft black licorice! ***** Panda All Natural Soft Black Licorice. First things first- since I was a kid, I’ve loved black licorice! For those of you who may care- I like red licorice but I love black licorice! For you guys who maybe really sick (I mean really care)- Mrs. Jeff Eats doesn’t like black or red licorice! About a week-or-so-ago, I came across Panda All Natural Soft Black Licorice while shopping at Publix, 3003 Yamato Road, Boca Raton, Florida 33434, (561) 241-5005- and spotted a whole bunch of bags of Panda All Natural Soft Black Licorice. Being a wild and crazy guy- I decided what the heck- and decided to give the Panda brand a try- purchasing 2 bags for $7.90 (for those of you who are math-challenged- that’s $3.87 a bag😜)! Long story short- absolutely delicious! Now I’m not gonna name names- like Twizzlers Black Licorice Twists or Twizzlers Black Licorice Nibs but trust me when I tell you that Panda All Natural Soft Black Licorice ran/runs absolute circles around most of the black licorice brands that you’ll find at Publix, Walmart, Target, Costco, Winn-Dixie etc. If you like black licorice- you gotta try Panda All Natural Soft Black Licorice! Like I said 4 seconds ago, I got my Panda All Natural Soft Black Licorice at the Publix by my house in Boca Raton. A cursory internet search turned-up a ton of online/brick and mortar Panda retailers! 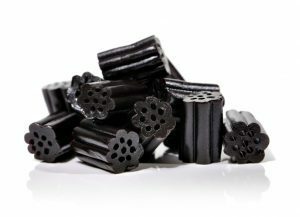 You can catch more info about Panda’s licorice products at panda.fi.